According to Forbes, more than two thirds of consumers say that the social media posts from businesses they interact with online have an influence on their purchases. This is why a consistent social media strategy for any Irish Food, Drinks or Hospitality business is essential to building a brand’s presence online. Identifying the elements required to put together a successful social media strategy can be difficult for any business owner, which is why Food PR & Communications have put together our top 5 tips to help get you started. As time consuming as it may sound, you simply cannot efficiently make improvements to your social media marketing strategy without understanding the past and present performance of your current social media efforts. Use your social media audit as an opportunity to discover whether the time you’ve been putting into the platform you use is worth it. To make this process easier for you, we’ve included a free downloadable Social Media Audit template from Hootsuite. By setting goals for your strategy, you will be better able to review its performance. Once you have a higher quality insight into the type of audience that is engaging with your business and how they are behaving on social media, your next step is to create Customer Personas. By creating customer personas, you can garner useful insight such as what social media channels they are using, the types of content they are engaging with, as well as a clearer understanding of their needs and wants. Choosing the right channels and researching the optimum times to post is going to help improve your social media marketing strategy and make it more efficient. For 2019, Instagram will most likely be the leading platform for capturing quality engagement within smaller communities. Although it has a smaller audience size in comparison to Facebook, Instagram is already increasingly becoming the most popular platform for engaged users and is the perfect outlet for Irish Food, Drinks and Hospitality businesses to display their products and services in a way that engages their customers. Each social media platform you use should have a different role in your social media strategy. Facebook is a fantastic platform for building interactive communities around businesses due to it’s Business Page and Group features. Instagram is the perfect platform for businesses to promote their beautiful products due to its emphasis around aesthetics. Again, this is something which is of particular value to businesses in the food, drinks or hospitality industries. Once you have identified a purpose for each of the social media platforms your business uses, then use that information to adapt your content and actions on each platform accordingly. If you are a food, drinks or hospitality business owner looking for a assistance with your Social Media Strategy then, Food PR & Communications may be the right choice for you. We work with a range of Social Media clients such as Esquires Coffee, Glovers Alley by Andy McFadden and The Kings Head. 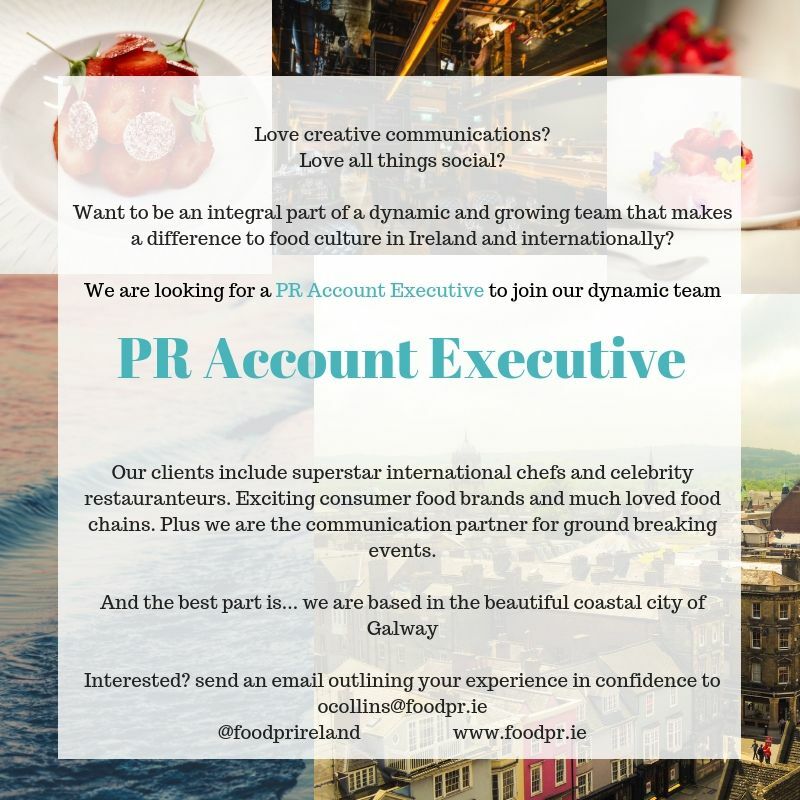 Feel free to get in touch with us today by emailing info@foodpr.ie.